A spring run will begin in Austin, TX on April 18, with shows running to early May, following which the group will begin a series of European concerts in June. The Foos will return to North America for more dates in July, including a two-night stand at New York's Madison Square Garden, a pair of shows at Boston's Fenway Park, and a late July appearance at Chicago’s Wrigley Field. A Capital One cardholders pre-sale starts Thursday, October 26 at 10 a.m. local venue time and ends Saturday, October 28 at 10 a.m. local venue time, or until pre-sale tickets run out. Note: the Capital One cardholder pre-sale for the Chicago date will begin Monday, November 6 at 10 a.m. local time. General public tickets will go on sale Friday, November 3 at 10 a.m. local time, with the exception of the public on sale for Chicago, which will begin November 10. 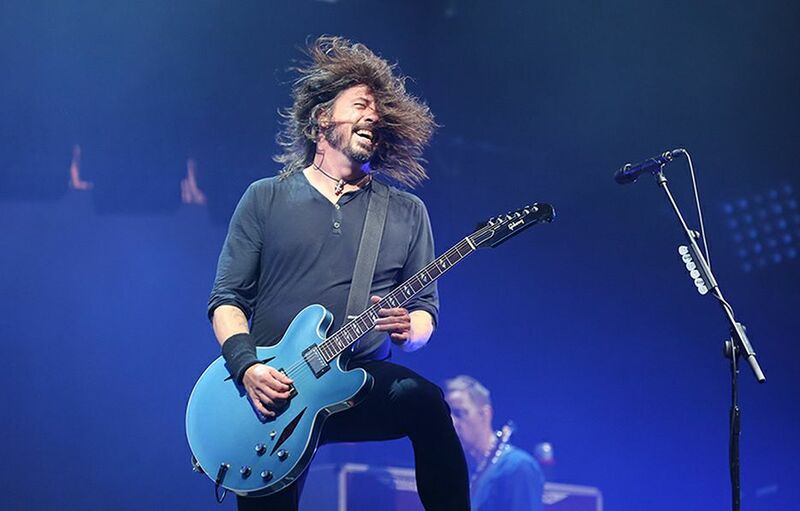 The Foo Fighters are currently on the road across North America, with dates scheduled into mid-December. An October 21 show at the Rupp Arena in Lexington, KY has been rescheduled to May 1, 2018, an October 24 concert at the Fed Ex Forum in Memphis, TN will now take place May 3, 2018, and an October 23 appearance at the Bridgestone Arena in Nashville, TN will be rescheduled shortly.